Paolo Veronese is regarded as one of the artists of the greatest trio that dominated Venetian painting of the Late Renaissance in the 16th century. The Italian maestro’s paintings depict the grandiose life of 16th century Venice – they exhibit strong elements of opulence and magnanimity which is excessive in those times. Veronese’s paintings are usually large canvases showcasing scenes of historical, religious and mythological nature. There is a very distinct framework of classical Renaissance setting in his paintings. Veronese was a master colorist; he excelled at using different compositions of colors to give another dimension to his paintings. Veronese had a highly successful and prolific career as a Venetian artist, he painted everything from complex decorations for villas, large alter pieces for churches, portraits for high profile clients and numerous historical paintings in different formats. Born as Paolo Caliari in 1528 in Verona – Venice, Italy his surname Caliari became Veronese after his birthplace. His father was a local stonecutter and at the age of 14 was apprenticing with artist Antonio Badile and tried his hand at architecture as well. Badile installed in his a unique love of art and architecture both – Veronese was taught how to paint people in a majestic manner by Badile. Apart from his mentor Badile, Veronese was heavily influenced by the works of Michelangelo, Raphael, Parmigianino and Guilio Romano. 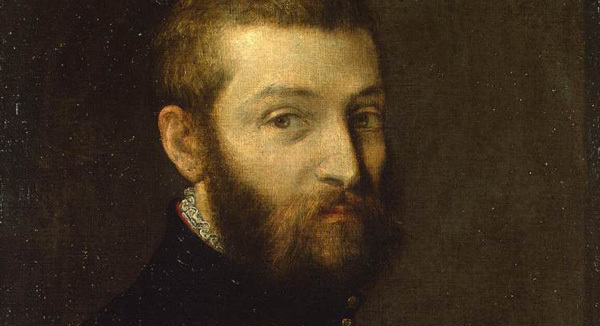 After learning what he had to by Badile Veronese moved to Venice when he 25 and it was where he firmly established his reputation as an artist par excellence. He spent the rest of his life in Venice and became a prominent figure amongst the Renaissance artists circle. Veronese was a staunch supporter of an artist’s right to creative freedom and often ended up defending some of his paintings to harsh conservative critics. Despite this he was one of the most influential and successful artists of those times, in fact his popularity was so high that even after his death his sons and brother had to finalize some of his remaining commissions. Veronese’s painting the Temptation of St Anthony for which he did for the cathedral of Mantua is heavily inspired by Michelangelo’s style. Using stark and dark colors, the painting depicts the passion between the two key figures. Veronese has used the perfect color techniques to throw light on the two figures and keep the rest of the painting in the dark. Veronese possessed the uncanny ability to make his figures appear as if they were floating in the air, to the viewer it would seem as if the painting is right above them. Some of Veronese’s later works before his death became fundamental in the evolution of Veronese art and in the development of Venetian painting. Today the art world considers Veronese to be one of the best storytellers, with his vast canvases and intense color display there was no holding back for Veronese when he decided to paint something. Centuries after his death, numerous artists like Sebastiano Ricci and Giovanni Battista Tiepolo regard Veronese as their biggest inspiration.